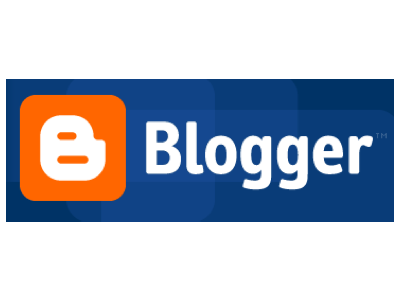 Blogger.com is a blogging tool owned by Google that provides handy features to blog. Any one can easily start free blogging with sub-domain on Blogger.com and share one's view and ideas with other. I have also blogged about the custom domain with Blogger.com so that one need to have sub-domain URL and enhance its presence in blogging world. If you have started with free blogging platform with Blogger.com, you must have found the limited style of Blogger template and bounded to use them. But, Blogger.com has also provided to upload your own new website with .xml extension that looks similar to other professional blogs or site based on WordPress, and others. It totally gives professional looks to your website. There are few sites that provide free Blogger Templates that can be uploaded easily to blogger blog and change the appearance of your blog into a professional blog or site. 1. Btemplates.com: This site provides Basic templates, but not as professional site templates. One can easily upload .xml file and start a simple blogging with not so good appearance of blog. It will look similar to the Blogger.com pre-installed templates. It can be used for Personal blogging. 2. Way2themes.com: This site provides professionally looked templates for the Blogger user. It has limited number of templates, yet it has good templates that can be uploaded to give professional look to your free blog. 3. Bloggertheme9.com: It also provides free and professionally looked templates. There are various blogger templates available such as Magazine, technology, gallery style templates. 4. Newbloggerthemes.com: It provides different types of templates and one can sort it with one's requirement. 5. Designsrazzi.com: This provides various and many more options to choose templates for your site. It provides sorted list of templates from which one can easily choose and decide which one will be better for one's blog. 6. Premiumbloggertemplates.com: It also provides plenty of options to choose from. There are many different categorically sorted templates and free to download for your blogger blog. 7. Templateism.com: It provides Gallery looked templates for the user. The templates are responsive and professional look, but not impressive for personal blogging. 8. Mybloggerthemes.com: It has plenty of templates that can be sorted with their design, columns, color, feature and style. It provides various categories so that user can easily choose professional templates for his/her blog. 9. Weblogtemplates.net: I will say this site provides better templates for free for personal blogging to professional sites. The templates are good but not categorically sorted and compel the user to view each and every templates manually. 10. Soratemplates.com: This site provides templates that can be used for Professional sites and Gallery templates. There are not much options to choose from. But, for Gallery or Professionally looking templates, it is good to try this site. 11. Kaizentemplate.com: This is an Indonesian site that provides mixed templates for professional sites and personal blogging. The templates are really good and even professional templates can be used for personal blogging. The disadvantages is that you have to change the language manually after uploading these templates to blogger. 12. Gooyaabitemplates.com: It is also an Indonesian site but provides plenty of options to choose templates according to your need. Tehy have sorted the templates categorically and one can easily download the templates in zip file. The templates are easy to edit and provides better user experience. Note: All templated are download in the ZIP files. Hence, extract the template from the ZIP file and upload the .XML extension file to blogger. Comments "12 sites providing free Responsive and SEO blogger templates"